The specially designed Italian naked bike has created hype in the global market by its rigid yet stylish masculine appearance. This well structured vehicle with the tough black body makes this vehicle look more chilled out and attractive. The highlighting points about the motorcycle include the comfortable seating, neatly designed exhaust pipes and frames, stylish head lamps and the sleek body. The overall design of the bike clearly speaks out that it is the coolest and iconic motorcycle on road. 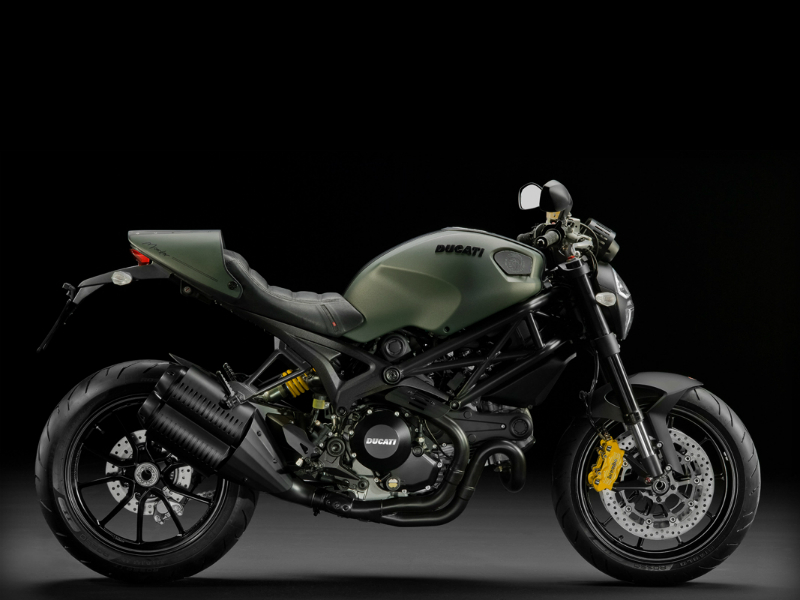 The Ducati Monster Diesel comes with the powerful L twin cylinder diesel engine that offers good performance. This all new engine gives superior power at higher revolution and linear torque curve which guarantee the smooth power delivery. As per the new data the vehicle ensures great riding experience at higher revolution and again thanks to its torque curve. The monster diesel delivers the maximum power of about 73.5 kw at 7500 rpm and assures the peak torque of about 103 Nm at 6000 rpm. The perfectly designed bike with the macho and aggressive look serves as a head turner. The classic structure of the vehicle complemented by attractive color gives an urban military look and this serves as the major magnetic appeal. Further the attractive black finishing including the stylish structure of the exhaust and brave design of the wheels gives this bike a greater value. The slim body and properly placed handlebars of the bike provides a greater rider experience in any type of road. The well structured vehicle including the comfortable seats offers safe and problem free ride. 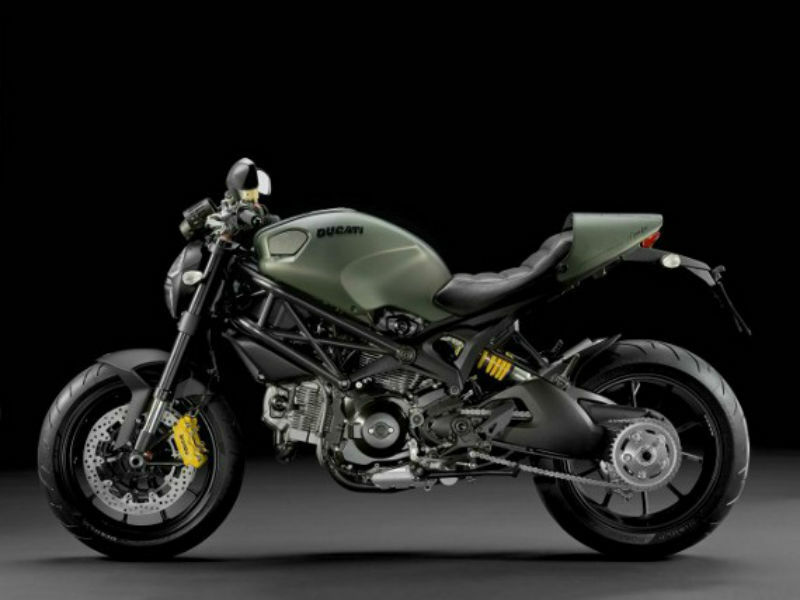 The suspension set up developed by Ducati Monster Diesel is perfect for better handling. The suspension of the vehicle includes front Marzocchi upside-down forks and the rear Progressive linkage with preload and rebound Sachs adjustable monoshock. Further the braking system of the bike is also equally important for better driving. This vehicle includes the disc brakes both at the front and rear wheels which gives complete control of Monster Diesel to the driver. This diesel motorbike is said to give a good mileage but the exact figures is not available. 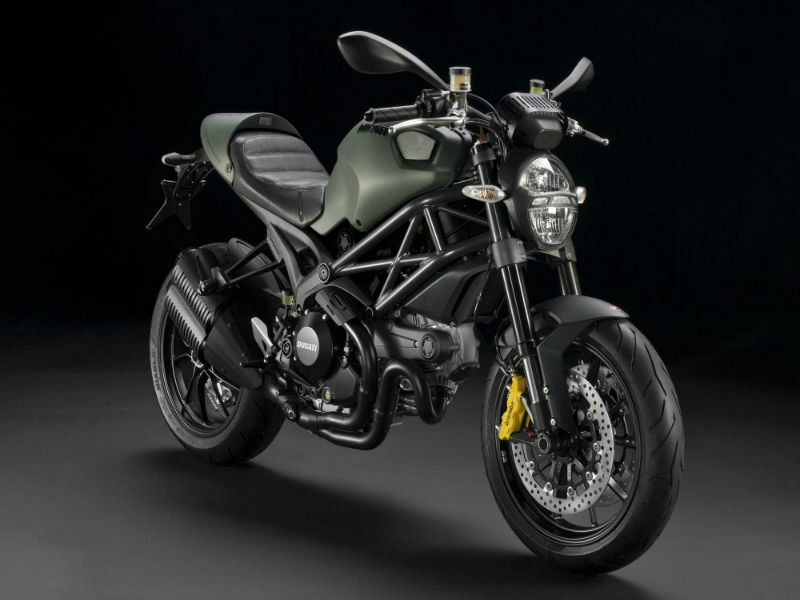 The new and trendy bike Ducati Monster Diesel is available in Diesel Brave Green color. The ex-showroom price of this vehicle is about Rs. 17,61,912.